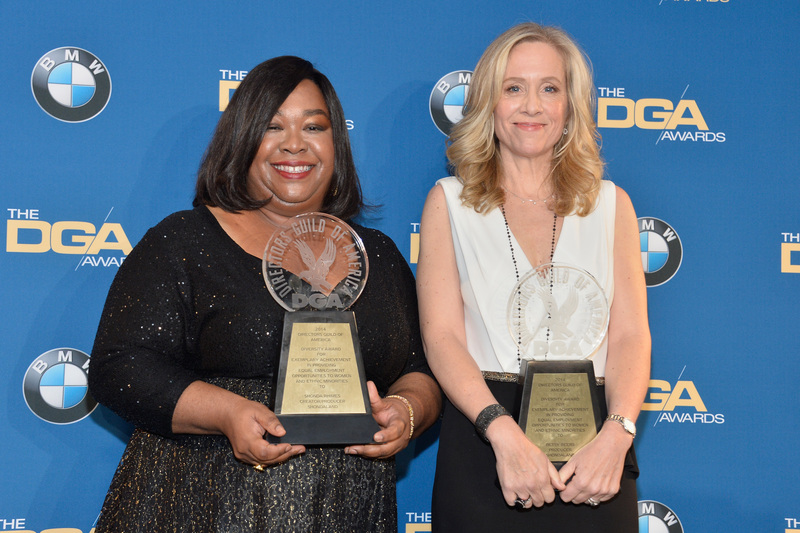 Scandal and Grey's Anatomy creator Shonda Rhimes received The Diversity Award from the Directors Guild of America Saturday night along with Scandal Executive Producer Betsy Beers.... and Rhimes was pissed. Not because she wasn't honored to receive the award, but because she felt she was being awarded for something people should be doing in the first place. "While I’m still really and truly profoundly honored to receive this award, but I was also a little pissed off." Which brings up the question: if more awards shows gave awards explicitly for diversity, would it help? There's two ways this type of award would be received if it was given out at an awards ceremony as big as, say, the Golden Globes. People could take Rhimes' stance and applaud the effort of calling out the inequalities in Hollywood and awarding people who are working to represent people of all colors, genders, and sexualities as they really are. Or, it could be seen as offensive, a way for Hollywood to pat itself on the back for recognizing that there's a problem while doing nothing about it, simply awarding people for doing something they should've been doing all along. Knowing the Internet, no matter what the overwhelming opinion is, someone will take the opposite stance. And isn't that the point? The Saturday Night Live debacle was bungled beyond belief, but it showed that sometimes, a diversity problem will be fixed once it's called into serious question. Making more awards for diversity in Hollywood won't fix the problem, and they could easily be offensive or be given out to the wrong people. But either way, they'll get people talking about the whitewashing of entertainment — and eventually, Hollywood will have to listen.